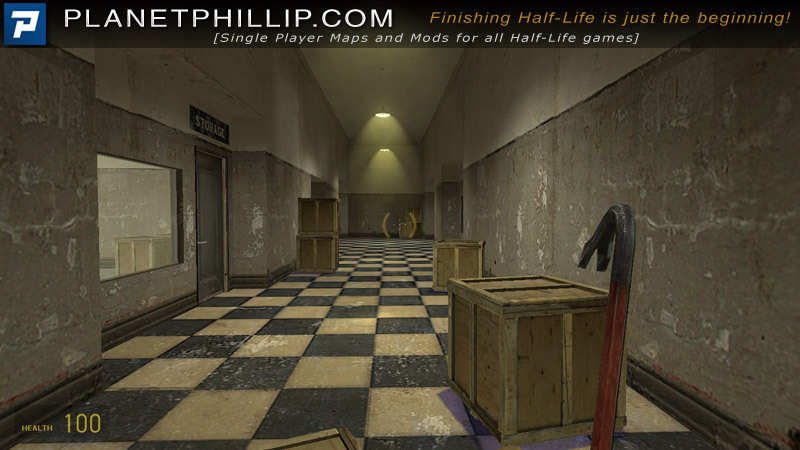 Copy the crates folder into your SourceMods folder. Too Many Crates should now be listed in your Library tab. When I first read the description of this mod I was unsure whether it would fit my criteria but since one type of crate chases you and can kill you, I decide to count that as an enemy. It’s a warehouse and more or less looks like one, although a large storage area as part of the puzzle would have be welcome. Don’t be confused, you smash crates. Sounds simple, and it is but that is assuming you can A: find them and B: destroy them with cunning. Some crates can only be destroyed in certain ways and in some cases with other types of crates. 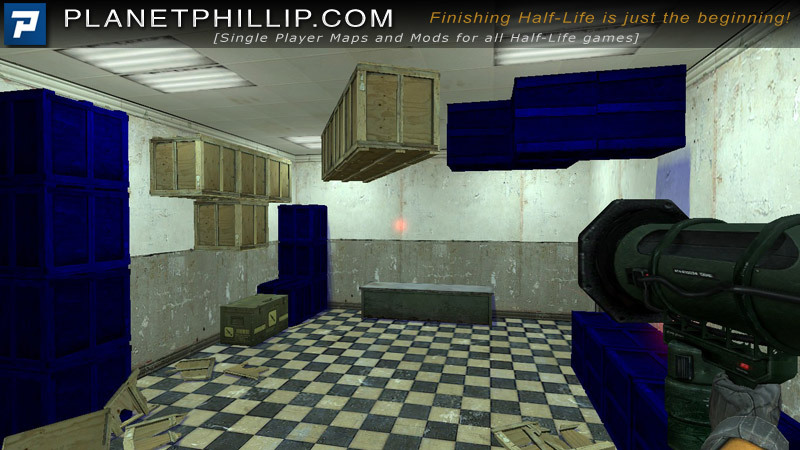 It’s essentially a puzzle mod with a little shooting thrown in. I have to say I was angry with the author for not explaining the rules of the game clearly enough. 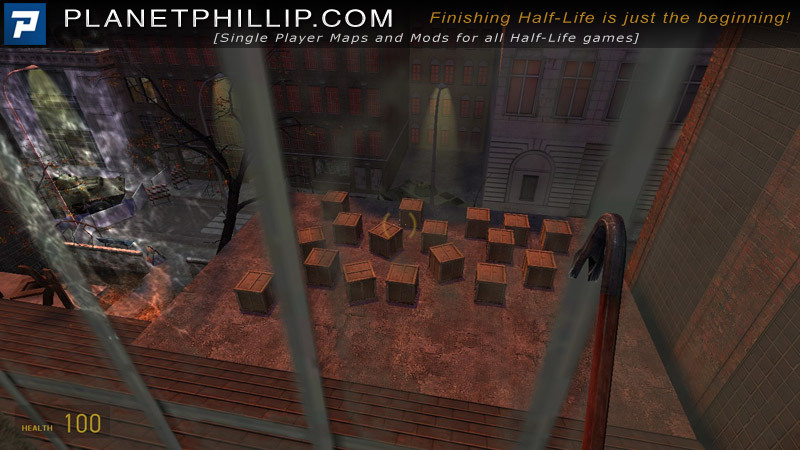 Specifically, the fact that the red crates were in very short supply and are needed to finish the mod. 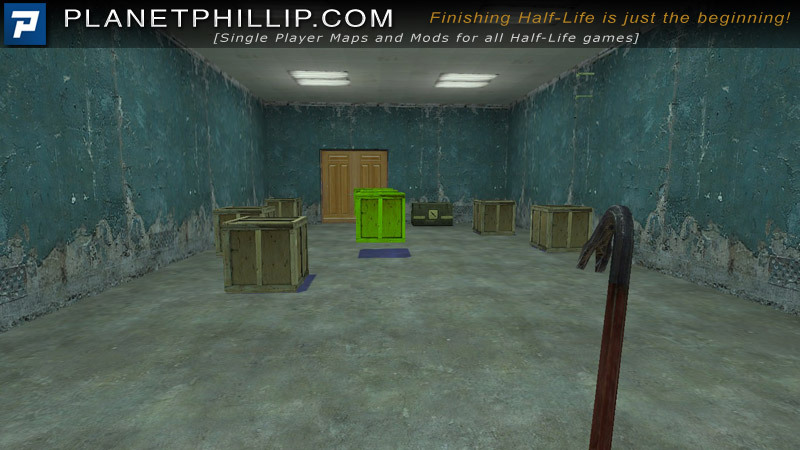 I played for about 20 minutes and when I took the last red crate out the room I was told I couldn’t finish the mod. There was NO WAY I was going to restart the mod. 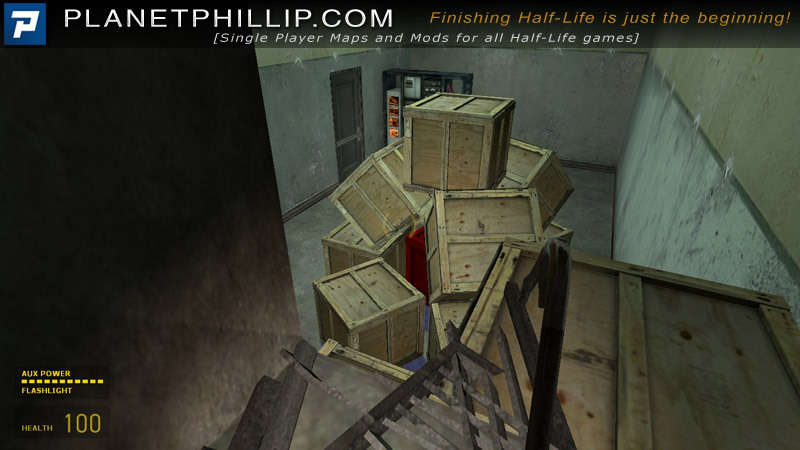 My solution would be to either provide a few more red crates or have an auto save every time you leave the room with a red crate. Obviously, it was my fault but I experimented with trying to open some doors when they couldn’t be opened no matter how many creates I used. Anyway, perhaps it’s a minor point because puzzle fans will probably enjoy that aspect. The level is very well designed and I enjoyed exploring it, but the design is more related to the puzzle than to make you go “WOW”. It’s not exactly the “cratest” mod you will play this year but it was smashing fun. Don’t expect Combine soldiers or zombies, it’s just you, your crowbar and those f&*king crates! 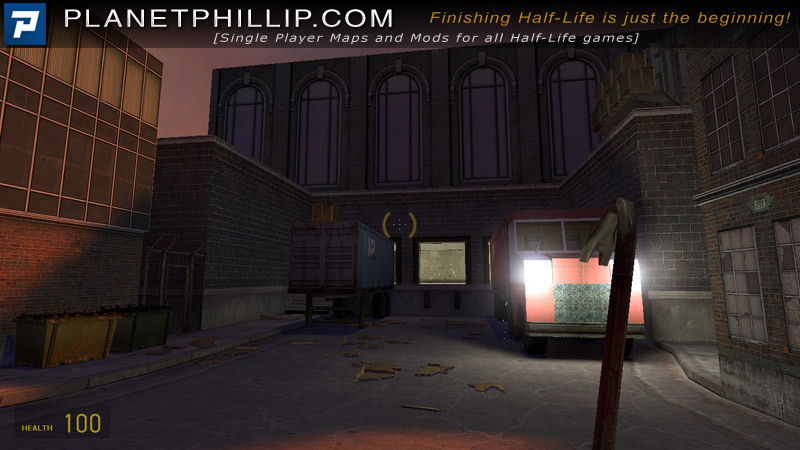 I suggest everybody should at least give this mod a try, you may like it. 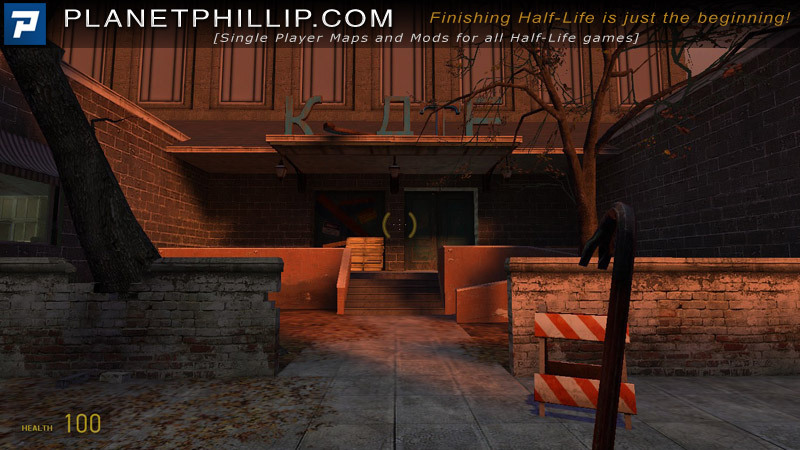 In fact, I think this mod has more depth that an initial play suggests. That message you got is actually a bug, Phillip. 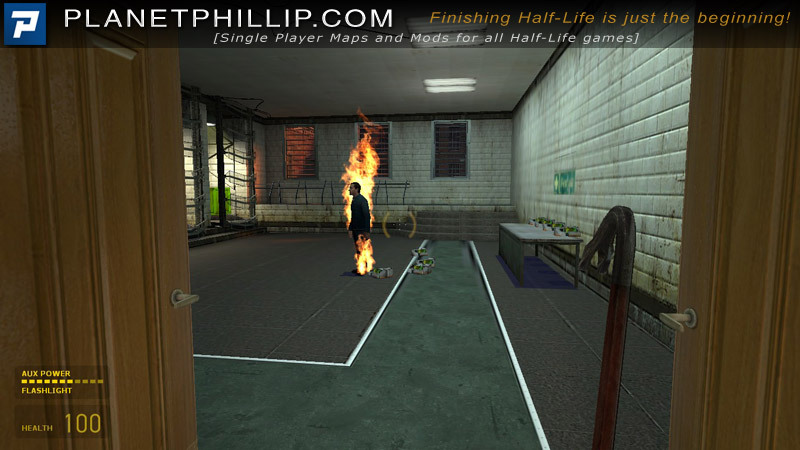 It’s not that you were being told that you couldn’t complete the game, but the author of the mod has scripts that are supposed to tell you if you’ve managed to trap yourself in a room. 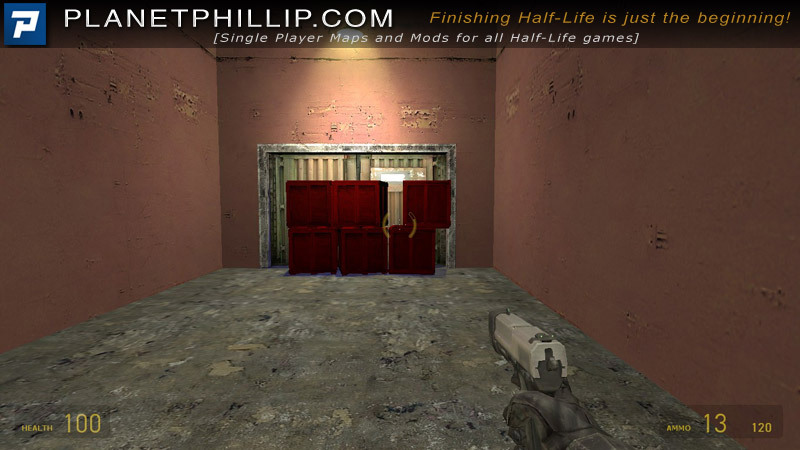 Since you have to use the red crates to blow up the doors to get out of that room, if all the crates in the room are broken then it will act as if you never got the doors open and are still trapped. Technically, you only actually NEED about 3 or 4 red crates. You’ll need one to get access to the elevators, but from there it’s possible to get the rocket launcher which can do almost the same job as the red crates. There are only about 3 other places that you specifically need a red crate for. Personally, I loved this game. I managed to get up to 996 crates on my own and finally broke down and used a little no clipping to find where the last 4 crates were. The worst part is they were actually right where I expected them to be but I just completely passed over them all the earlier times I looked. That message about being trapped when I broke the last red crate also confused me too, and so I kept searching for places that looked like they needed explosives for, rather than where I initially thought I was missing the crates from. The whole experience is really quite cathartic and refreshing. You have to think in order to figure out how to find, get to, and destroy the boxes, but the actual destruction process is completely mindless and visceral. 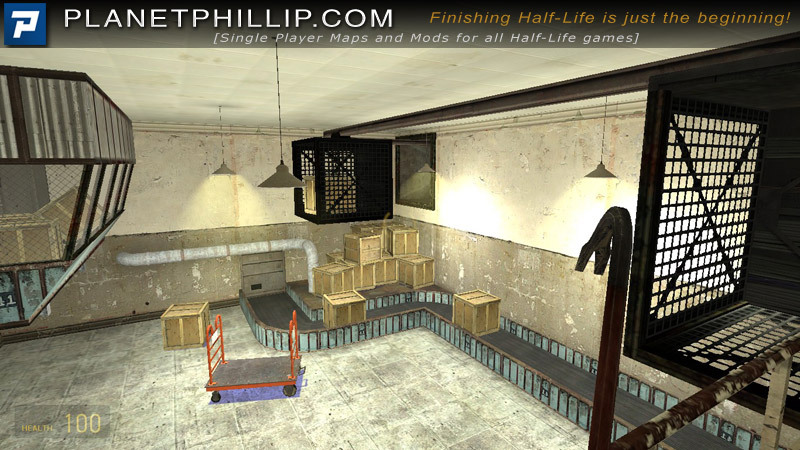 The map is incredibly well designed, and the way the “plot” was told to you was so cornball that it completely set the mood, and made the entire experience believable. 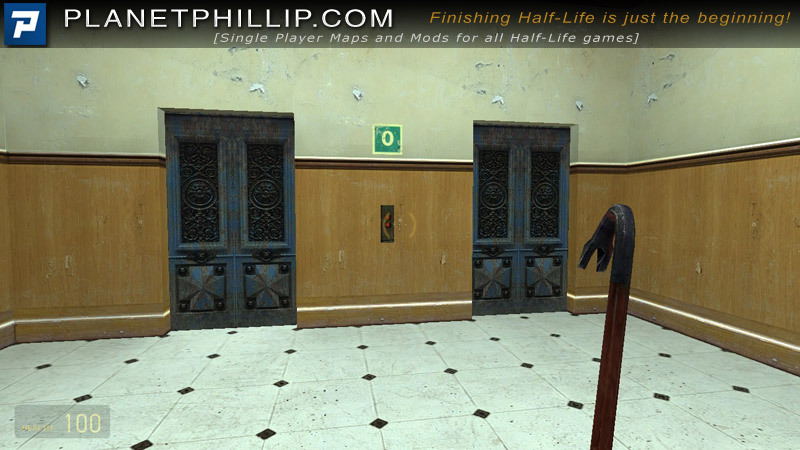 Quite frankly if this mod had come out 3 days ago it might actually have gotten my vote for best mod of 09. 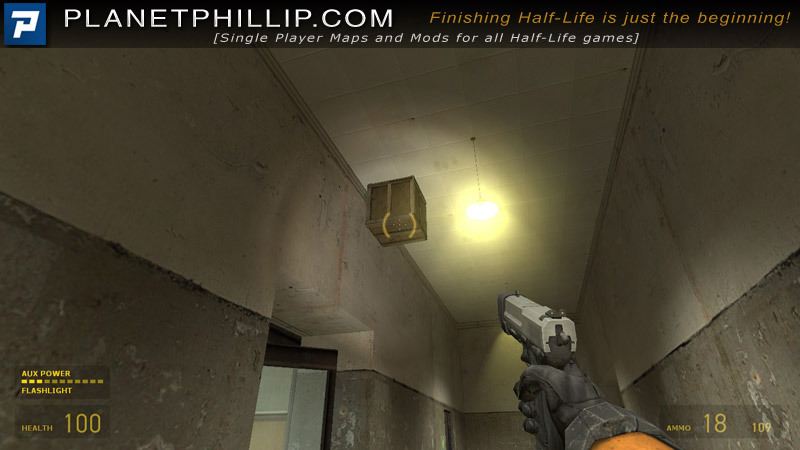 As jasper pointed out, if tactical shooters are your thing, then this has absolutely nothing for you, but if you’re into quirky gameplay, puzzles, or are simply the type of guy who has ever taken the time to smash every box in any room in Half Life or HL2 when you already knew they wouldn’t drop health or ammo, then this is a mod you need to at LEAST play once. Oh, and a point I forgot to add. 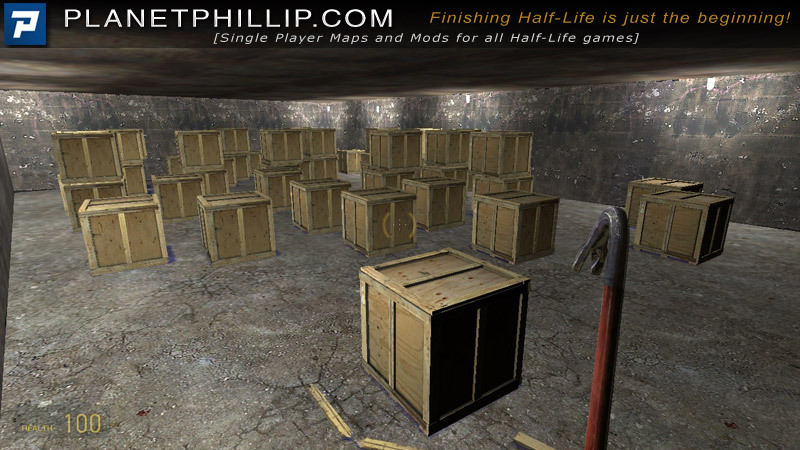 Phillip, there aren’t OVER 1000 crates, there are exactly 1000 crates. Unless you’ve managed to find some easter egg that no one else has. If not, saying that there are over 1000 crates is going to confuse those people that are actually aiming for a perfect score. argh, I keep remembering things I want to add AFTER I hi the submit comment button. I’m sure most people haven’t run into this problem yet, but if you go back to the start to get your score, and then reload from a previous save point so you can keep looking for and breaking more crates, you’ll wind up with your crosshair and hud disabled. 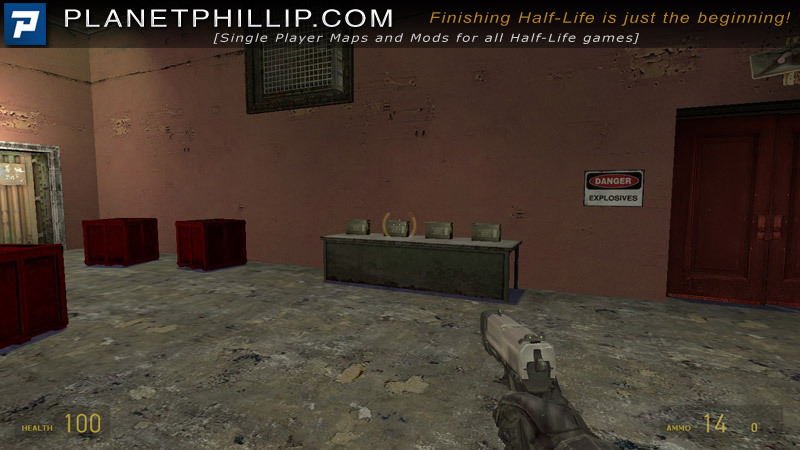 to get it working again just pull up the console and type “crosshair 1” and “cl_drawhud 1” and that’ll set everything back the way it should be. Not much point to this mod, although I may be missing something. 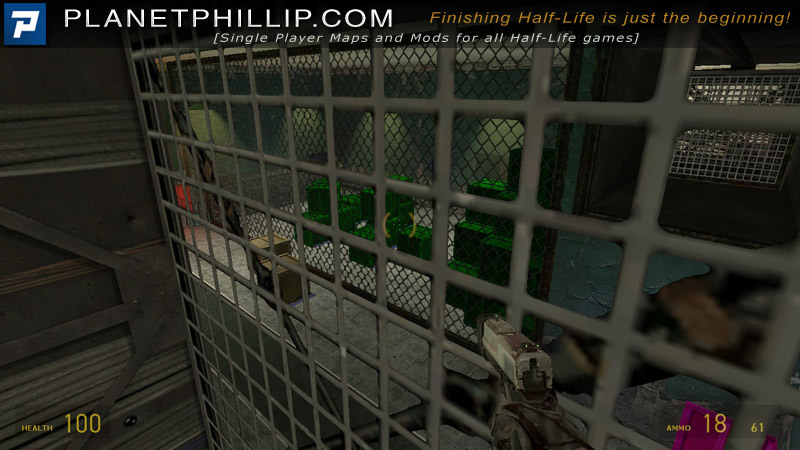 it’s a puzzle mod with the aim of getting to and smashing as many crates as possible. I believe I manager to activate all the triggers and thus get to all the location, but without someone putting together a definitive walk through I will never know for sure. it’s a very thin premise and whilst it was intriguing to sort out the way forward, the crate smashing becomes a bit of a bore. Even though the author comes up with novel ways of destroying the crates it’s still a very shallow experience and without any action, well none that I found, I’m not sure it qualifies for PP inclusion. Spoiler; if you return to the start it tells the total number of crates you smashed, so there maybe a game within a game here, i.e. who smashed the most crates. I did not score very high I only smashed crates I though would help me progress, loads of incidental crates I ignored, hence my low score of only 250. Oh boy, I think the author of this one is one sick puppy!! LOL! On my third time thru, I’m sadly addicted to getting all of them. ALL OF THEM! Brian, what is your score? Whew Finally got them ALLLLLLLLLLL! 1000! 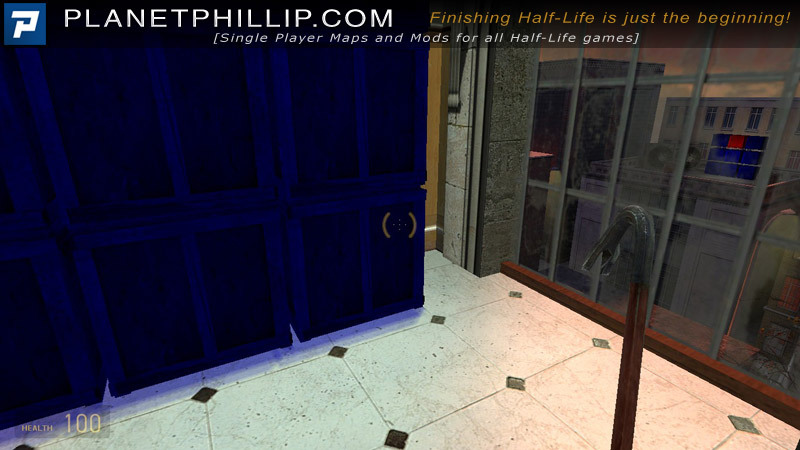 Nice work Brian, you must have loved this mod. mel has pretty much said it for me but we have similar, not identical tastes. If you like hunt-the-trigger puzzles of this sort, you will like it. If you like R&D type puzzles you may not like it. If you favour combat, you will not like it. I did not. I reached 740 crates and got a message something like “Crates are now afraid of you’. Breathed a sigh of relief, quit, deleted. However, It is well put together and quite ingenious. I always admire lateral thinking and there’s plenty of that here. 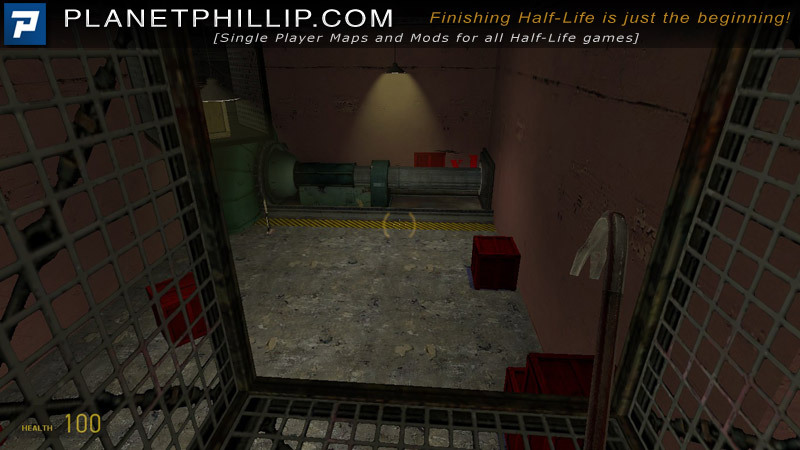 A question, if like me you played this mod in more then one setting, does it keep and add to your previous score, I am not talking about starting a new game just loading the last save and continuing. What different settings did you use? sorry that should read sittings. In that case, I don’t see why not. I wish the mod had a running total in a corner. Yes it does Mel. And it auto saves pretty often which is nice! I would hate to get in a who can outprank the other with this guy! So you are saying that if you save and come back your total is zero? I though he was saying the opposite, i.e. it keeps your score along with the save. This was a lot better than I expected it to be. 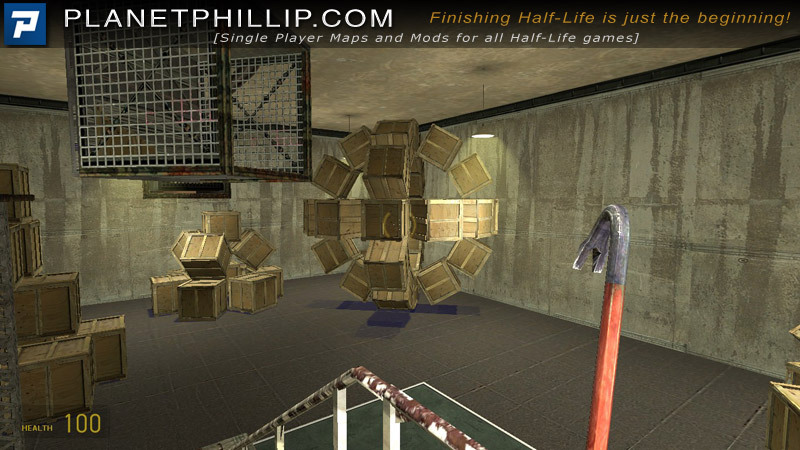 Despite a small amount of a bad design involving red crates, it is quite a fun mod. I just started playing this and I’ve been enjoying it a LOT more than I expected. Breaking the crates is an excellent bout of mindless destruction, but figuring out HOW to get to everything and how to break some of the crates requires quite a bit of consideration. It makes for a very nice and relaxing dynamic. 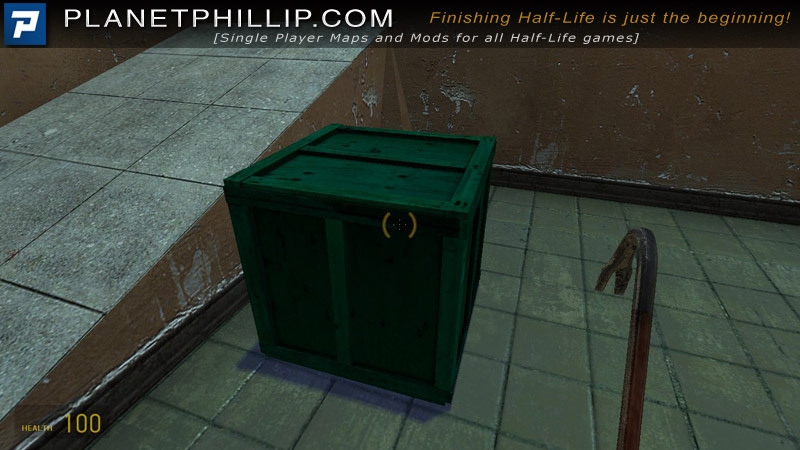 Wow, after this mod, I don’t think I ever want to see a crate ever again. Not that this is a bad mod or anything, not at all. The premise is simple enough; destroy as many crates as you can. But then the author throws all sorts of different crates at you, forcing you to think as to how to utilize the various crates in as many functional ways as possible. Definitely for the puzzle-loving or OCD gamer, which I proudly admit to be. I still haven’t smashed all 1000 crates yet, but I’m pretty damn close [about 850 or so I’d say]. Back to it I go!! Interesting map which I thought well done. hrmm. 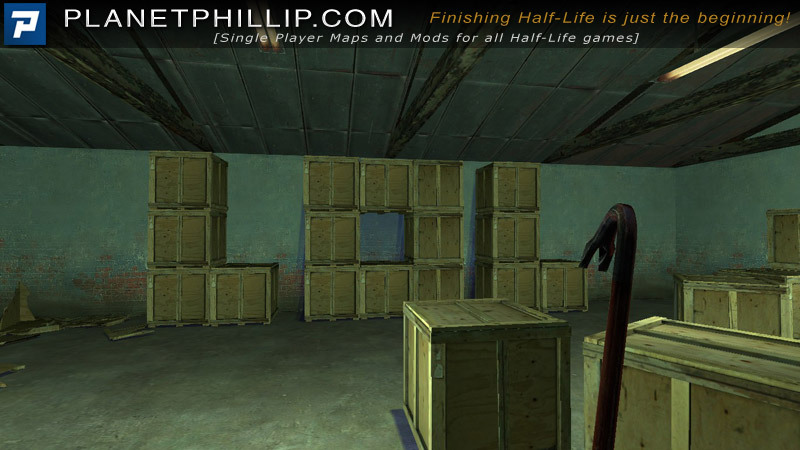 I really wish the Author had included just how many crates there actually are in this mod. When I hit 1000 exactly, and it said I mastered crate smashing, I figured those two signs together were pretty good indications to me that 1000 was the max. There are exactly 1000, there might be some sort of glitch that messes up the counter for some people bumping the number to 1009. Not sure why this happened. My personal guess would be that it might be possible to spawn in extra crates, which could then be broken to increase your total. 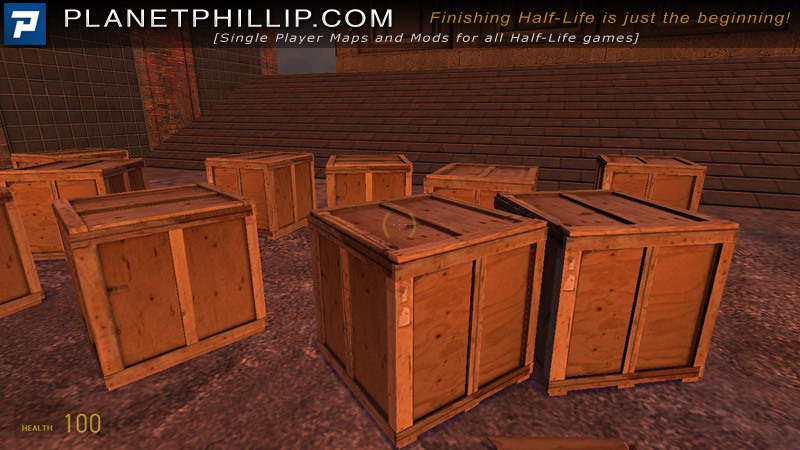 That doesn’t work, all the crates placed in the level have specific outputs fired when they are broken. If you spawn a crate model and break it it will do nothing at all. I happen to be the kind of player who would smash everything that can be smashed in a room before moving on (and I’m trying to kick that habit), so this mod was perfect for me. I liked how there were special crates that could only be broken in special ways, instead of just all regular crates. I managed to get all 1000 the last time I played the mod. Seriously, that took a while. I loved it though. I managed to get all of them, on my second run. 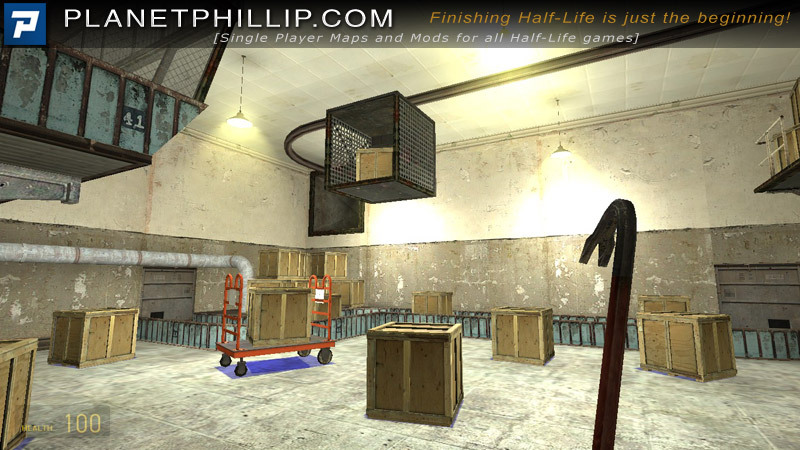 …I had the double doors to the EXPERIMENTAL CRATES room actually smash the purple, “Disappointing” crates on me. Oops. It really was quite a bit of fun, once I figured out how to work the crate types. The graphics were as good as can really be expected, a warehouse — how fancy can it possibly be? I did notice some map holes, at times though. I also had some difficulty with the green creates sometimes. They wouldn’t lift. Some seemed frozen in place until I tried again later… Did I break the game? Seriously, that was a LOT of crates. The scripting was interesting, and I can’t wait to see the next mod you release, Mr. Author. I have to say thought that I (kind of) enjoyed it enough to go back and start again to see if I can beat my meagre 490 crates before running out of options….. I can’t be the only one who wanted an odd combine or two to help with the crate clearance operation though….! Deep breath & diving back in…….. I didn’t really think about playing this mod. It wasn’t my cup of tea. Still I decided to play it. Fist impressions were it was a little over simplified. If you tell someone to destroy all the crates but don’t tell them that some crates may be needed its turns the game into one long trap. I carried on breaking crates for a good hour after I had doomed myself, it took me a week before I felt like playing the game again. Going back and being a tad more cautious paid off. Though I can’t work out how I managed to get 1009 crates. This is a nice step away from the norm. i know the rule is that you first need to have finished a mod before you can comment here, what is a good rule. 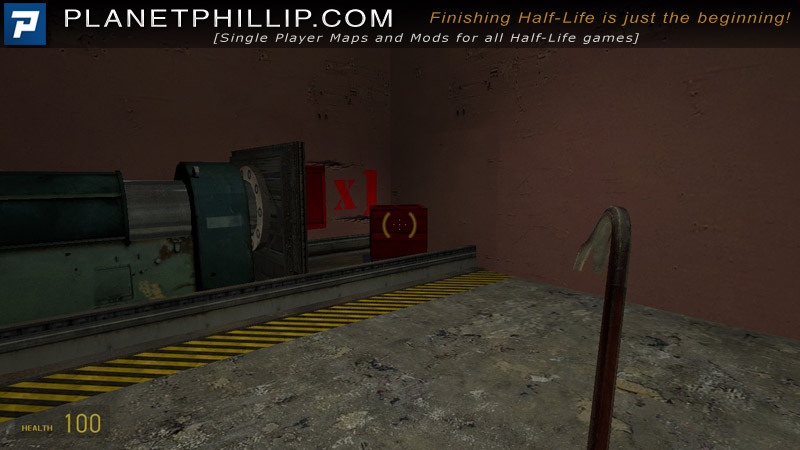 but to be honest haven’t I finsihed this mod, I really couldn’t find my way out of map1 after having blow a hole in the wall with that one machine that pushes a red crate into it. it keeps saying from there on that I will die there without food or something simular. because of this all I will not place a recommendation for this mod, because I didn’t finish it, and because I am not a puzzelfan. 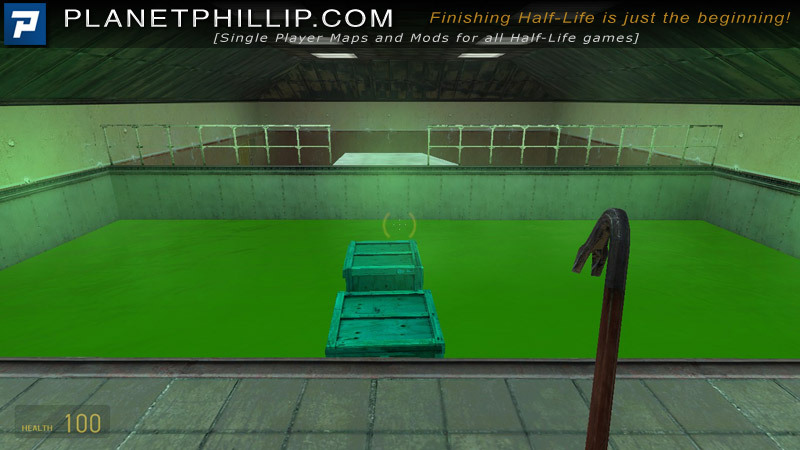 This is a funny mod. Much like “Research and Development”. Are the installation instructions correct ? Yes. What trouble are you having? Unzipped the folder as usual into the source mods directory but appears to be playing electronic hide and seek as it does not want to show in my Games screen. I was just wondering if it was supposed to be opened like a map instead. I gave it a miss and downloaded “Outpost 16” instead. It appears but will not open. Steam says it is preparing it but nothing happens thereafter – must be me. I apologise for not replying earlier, been distracted by a rude interruption called the ‘real world’. To be honest I am not sure what the trouble is. It doesn’t need to be opened like a map, so that’s not the problem. Do other mods work? What about others mods downloaded and installed since this one and Outpost16? Sure,most do just fine. 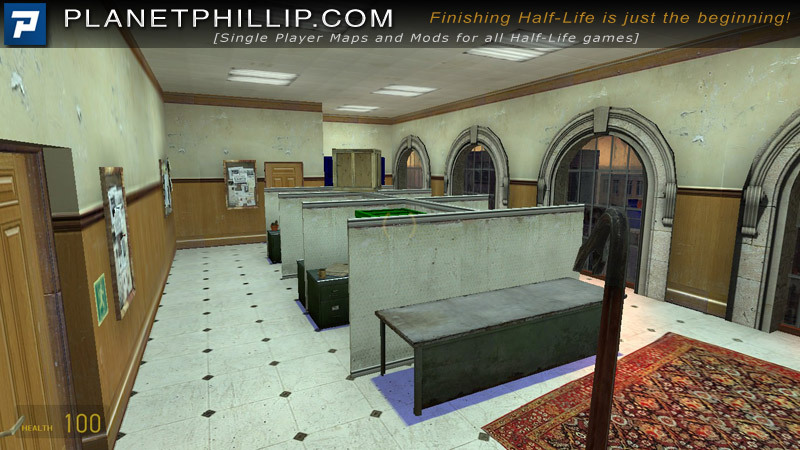 Both maps and mods. Explosion 2 opened OK – I can’t figure it out but it opened fine. I have played the crossbow oriented one since then too with no problems and the short map Combine Mountain. It appears to be random. Maybe need to keep track of any correlation between download source and the resulting file functioning. Who knows ? When you think of how a computer functions it is a wonder that it works at all. If I find a cause and effect I will be in touch. Any walkthru for this? “Cause I’m stuck at around 750 crates, and I’m damned if I know where the rest are. Is there a way over the tank of contaminated liquid? Are the experimental crates for a specific purpose? Is it worth playing on? The special crates should get you across, if you use the anti gravity ones. This mod was a lot of fun, if you just want something that will take some time. Thankfully, I don’t “smash everything” I can, so I had special crates when I needed them. Except I only got 985 of the buggers. 🙁 That was even after noclipping around. Oh well, I will play again sometime, and then I’ll get them all! Couple of things to ask. 1. I installed the conveyor fix version but the conveyor belt still doesn’t work. I had to push crates along the converyor one at a time. Anyone else had that problem? 2. To get the maximum 1,000 crates do you have to blow open the doors where the explosive crates are stored? if so, how do you do it? I tried everything, but no joy. I only got 988 crates. It took me a while to get around to playing it, but this mod was tons of fun. Certainly one of the more innovative mods I’ve ever played. Hunt around for all 1000 crates… some of them are hard to find, but none are impossible to reach! 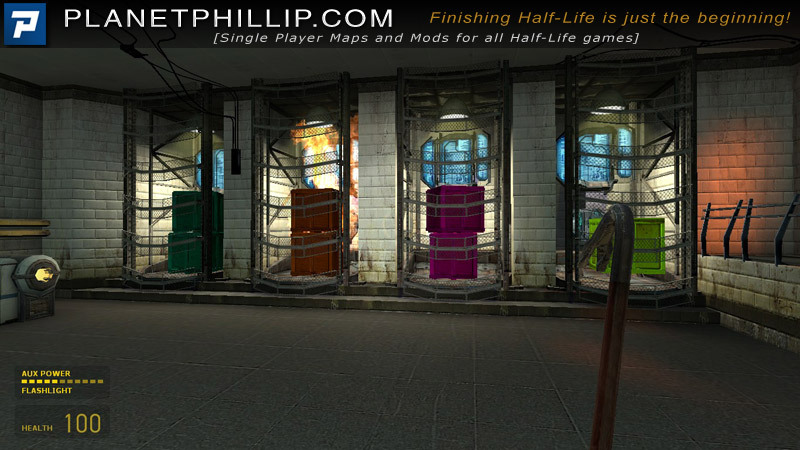 There are too many crates in this puzzle mod and to make matters worse, some of them are very bad behaved indeed! 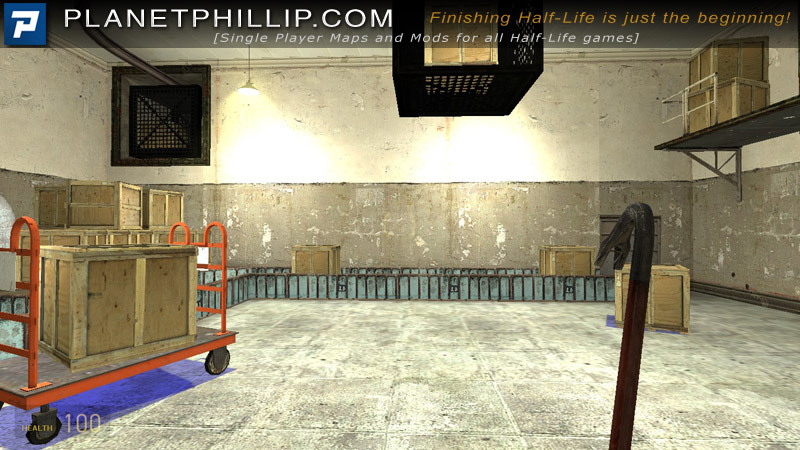 I have smashed so many crates in my Half Life experiences that this is just the perfect mod. Me, myself and my trusty crowbar going nuts! A nice fun factory setting, a lab full of deranged boxes and a familiar bloke in charge make this fun, but its not simples! Exploding crates are joined by regular, blue, pink, green, electric, flaming, gravity-defying and even homicidal ones with a present inside! I managed a final score of 999. just one short after all that careful searching! AGH! Remember to save before a trip to the safe zone for a score, but be warned it can get buggy with the HUD after a load from quicksave. 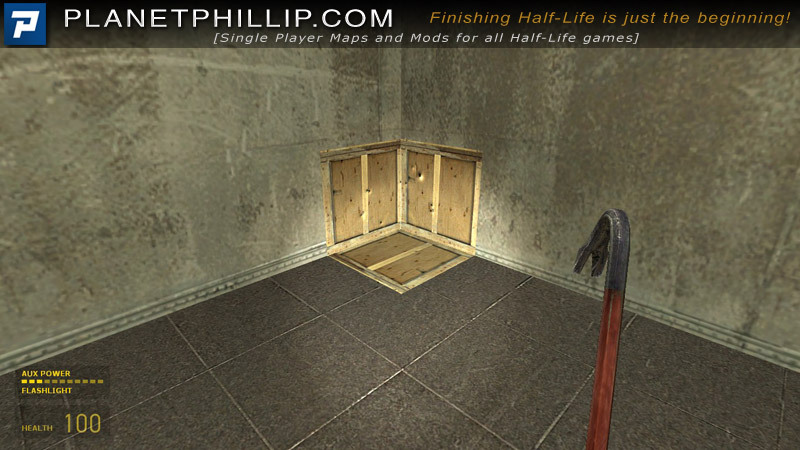 This is a fun puzzle mod with plenty of crowbar action and ample use of “the little grey cells”. There are two rides as well. A monorail and a conveyer, but this has a rather bad end so get off early! Play this now! Surprisingly it is fun. The different ways to destroy crates, the hidden rooms etc. all add up to a nice game. HOWEVER.. the mod falls flat on it’s face because it allows you to get trapped, and you have to revert to a save to continue.. this may not seem like much but imagine breaking 200 crates, then realising you needed a few crates of those for something, and having to break most of them again. A small example is, in the red crate room (SPOILER), I destroyed all the red crates and was unable to exit because the doors needed breaking. Also, even if you manage to break the doors, crates are needed for exploding blue crates. ALSO, I put a red crate on a yellow block and it opened into a room.. broke allt he crates, brought the red crate with me to the 2 purple floor blocks, got another red crate (there were 2 left) and it didnt open the door, and a message said, you’ve trapped yourself now you starve to death, and it didnt even exit. Noclipped through the door and.. well, nothing works anymore….. but yeah not designed very well. I mean, it WAS designed well, but this flaw was not fixed/thought about enough. This is a fairly simple modification, but it has elements that a lot of modifications miss and what future modifications could really use. It’s has a new type of atmosphere and twist to it. It’s made simple, yet once you start to play this modification it becomes misjudged. You actually have to put thought into how you are going to do solve each of the rooms, and it envelopes a sense of carefulness. Such as breaking all the explosive crates could be a bad move to make. In a sense it engages you into a false sense of security. I have had to play this modification at least 3 times to fully activate the ending. I guess in a sense it might leave one wondering this. “Was there a point to this modification?” But then when you reach the ending you are dawned with the simple question that is the most important factor of a modification, and what makes is a successful modification.